Using a sharp knife cut off each end of the acorn squash removing as little as possible, then cut in half. 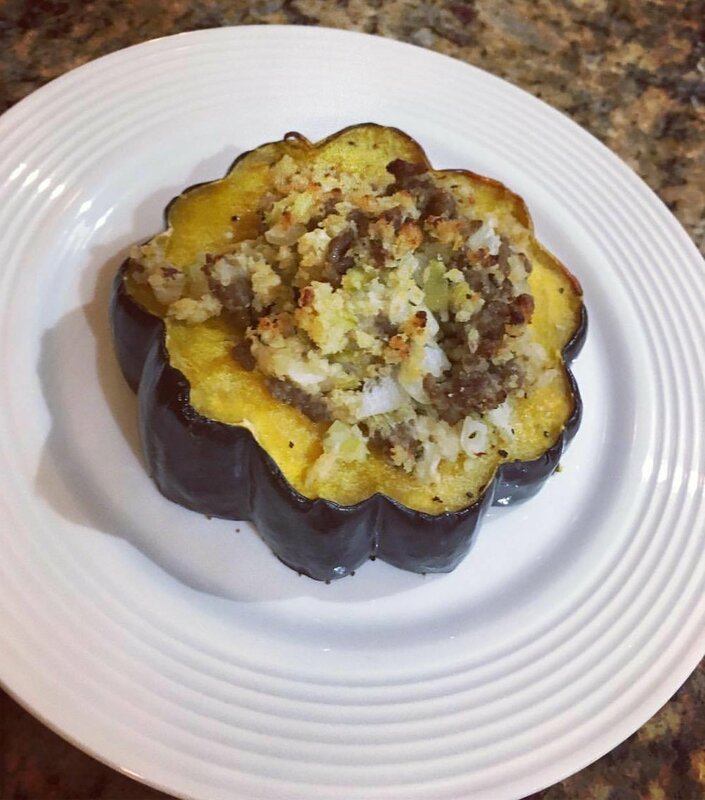 Brush olive oil inside and on top of Acorn Squash. Sprinkle Salt and Pepper over Acorn Squash to taste. Bake for 40 minutes to an hour depending on size of your squash until tender and you can pierce with a fork, but still holding it's shape. While the squash is baking begin sautéing the sausage until browned, drain and pat dry with a paper towel to remove as much grease as possible, but don't discard grease in the pan. Add apples and sauté for another 2 minutes or until softened. Add ¾ cup parmesan cheese and stir until cheese begins to melt. Set aside. Once squash has finished baking and reached desired tenderness spoon in meat mixture until the squash is filled. Return to the oven and bake an additional 15-20 minutes depending on size of squash. Remove from oven and top with remaining parmesan cheese.